While Hong Kong’s new city mayor CY Leung was being elected and inaugurated, billions of sheets worth of government records were trashed. In fact, if you stacked up all the trashed records, they would be about 40 times the height of the world’s tallest building Dubai’s Burj Khalifa ( which is 829.8 meters.) 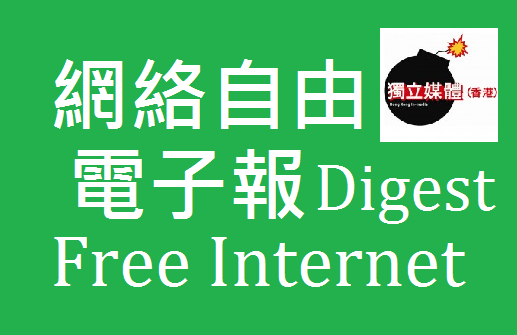 Hong Kong In-Media, a NGO that promotes the development of citizen media and information freedom took the opportunity to launch a campaign, demanding immediate legislation to protect government archives and public access to information. Hong Kong In-Media: Monitoring the Government, Support of legislating the “Public Information Law" and the “Archives Law"
WeChat has become popular in Hong Kong when WhatsApp asks for an annual fee. Yet, oversea media found it filtered “sensitive content" globally. Moreover, it recently stepped up real-name verification" for “public WeChat accounts", picture of their ID,national ID card number are needed. The Cyber Intelligence Sharing and Protection act (CISPA) will be reintroduced to the US House following a spate of cyber espionage and hacking attacks. Civil liberties advocates have criticized the bill for violating privacy laws. Pakistan renewed its ban on YouTube and the Chinese People’s Daily described it as a good policy to “protect teenagers". Yet, Pakistani Internet rights NGO Bytesforall has started an online campaign about internet filtering and online censorship. The campaign, called “Access Is My Right,” aims to raise Internet users’ awareness about policies and practices that limit the right to free expression online. Quartz: Pakistan renewed its ban on YouTube this week. Could the entire internet be far behind? 贊比亞：中國技術助贊國審查｜Zambia: China helps internet censorship? China is facing allegations that it is helping the Zambian government with deep packet inspection technology to eavesdrop, mine data, censor and intercept communications. The allegations come less than two years after the Chinese government was accused of helping the Ethiopian government block news websites in Ethiopia and jam Ethiopian Satellite Television (ESAT) and other broadcasters including the Voice of America and Germany’s Deutsche Welle Amharic service. Globalvoice: Zambia: Chinese Experts to Monitor Internet?